This large-scale comparative endeavor, complete in two volumes, reflects increasing concern with the population factor in economic and social change worldwide. Demographers, on their side, have been focusing on history. In response to this, Population in History represents the work of two practitioners that have begun to work together, using their combined approaches in an attempt to assess and account for population growth experienced by the West since the seventeenth century. 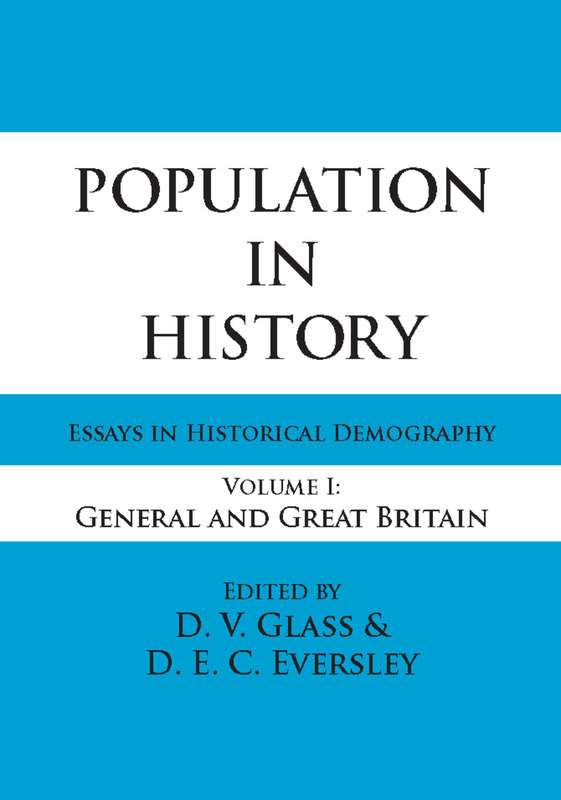 There is a long record of interest in the history of population. But the interest now displayed is likely to be both more persistent and far more fruitful in its consequences. New studies have been initiated in many countries. And because the studies are more informed and systematic than many of those of earlier periods, they are already provoking the further spread of research. A much more positive part is now also being played by national and international associations of historians and demographers. It is not unlikely that, within the next fifteen or twenty years, the main outlines of population change in the seventeenth and eighteenth centuries will be firmly established for much of Europe. Previous research has tended to appear in specialist journals and academic publications. This volume is intended to provide a more easily accessible publication. It has been thought appropriate to include some earlier work, both because of its intrinsic interest and because it provided the background and part of the stimulus to the later research. Of the twenty-seven contributions to this outstanding volume, seven are unabridged reprints of earlier work; the remaining contributions are either entirely new or represent substantial revisions of work published elsewhere.